6. Not be registered or have intentions to register as a clean development mechanism (CDM) or joint implementation (JI) initiative in the next two years. If your institution has successfully implemented a project, initiative, program or other activity that addresses climate change mitigation or adaptation while focusing on one of the five areas outlined below, we would like to hear about it. fully covered attendance to the 2018 UN Climate Change Conference in Katowice, Poland; access to policy makers and potential funders during the conference; public recognition by the UN Climate Change secretariat; public relations support and media training; marketing materials, including promotional videos, a dedicated page about your project on our website and professional photography. 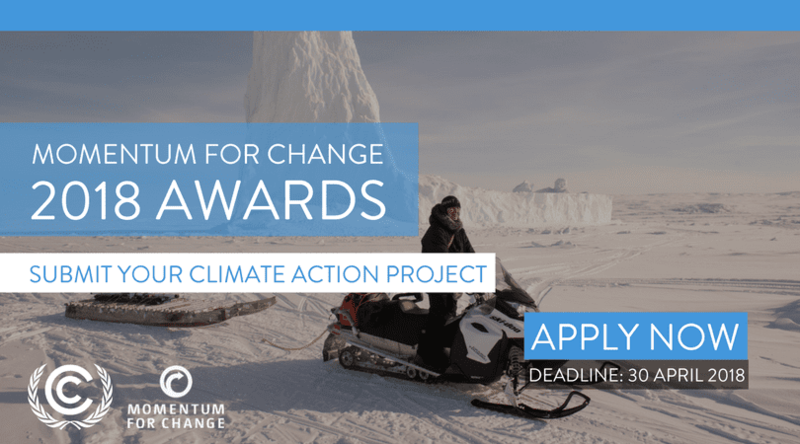 • Opportunities to present work to policy makers during the UN Climate Change Conferences. • On-going digital campaign, including social media, email marketing and promotion on UNFCCC website. Lighthouse Activities will be announced in October 2018 and officially recognized and celebrated during an award ceremony and a series of special events in December 2018 at the UN Climate Change Conference in Katowice, Poland. UNFCCC may have to prevail on UN to consider the adoption of our Proposed Peace Projects centered on adverting Atomic Wars from the grassroots, as the side effects of Nuclear Wars on Climate Changes is mores disastrous than we emergined. It’s time UN answer the World Youths “Wake-up Calls” on our Peace Projects.